Summer is well on its way and as most of you know if you follow me on social media, I’ve been away doing some exciting travels over the past month (all coming to my blog really soon but many are already live on my YouTube!). Admittedly, I’ve fallen off the 80/20 rule ever so slightly whilst on my travels and I’m currently probably more 70/30 with my diet (that means 5 good days and 2 bad days but at the moment and whilst away, I’ve been cheating a little bit more than normal). That’s totally okay though, it’s tough when you’re away! I know I haven’t been nourishing my body enough this last month but now it’s time to get back on it. It’s actually really difficult to nourish yourself properly whilst away particularly when you’re in countries which are completely different to home. I’m definitely looking forward to getting back into my fitness routine and getting back into my health cupboard at home now so I wanted to do this as a post to not only get me back into the mood and on that Summer health kick but also, to inspire you too hopefully! Whilst away, I got the chance to try so many incredible new vegetables (morning glory to name one which is delicious and apparently a bit of a superfood) and also, I learnt about some local, natural Vietnamese herbs which Vietnamese people swear by. Learning about these things inspired me to do some research into uncommon superfoods to add to your diet. I was also inspired to write this when I found out about Sangria being a new superfood today?! proving that superfoods don't have to be boring! We’re not talking chia, flax or dark chocolate here (even though they are my faves), instead, today I wanted to highlight a few less known superfoods you may want to add to your diet in order to mix it up for Summer! Let’s go! *Before I start, please note I am not an expert, these are just things I have found out about and wanted to share. I condone a healthy, balanced diet as part of a lifestyle and never ever a fad. You can read more in my fitness section here. 1. Camu berry - This is apparently a Brazilian superstar, grown in the rain forest and high in vitamin C and potassium. It’s also apparently a natural energy booster too. You can buy this in powder form (I’d always recommend buying things from verified health stores such as Holland and Barratt rather than random online websites!) but it looks pretty good! 2. Sangria - Now this one really did shock me, but I’d be lying if I said it didn’t excite me. Sangria is my favourite Summer drink so this is incredible news ,almost as good as when I heard that dark chocolate (I eat 90%) is good for me too. 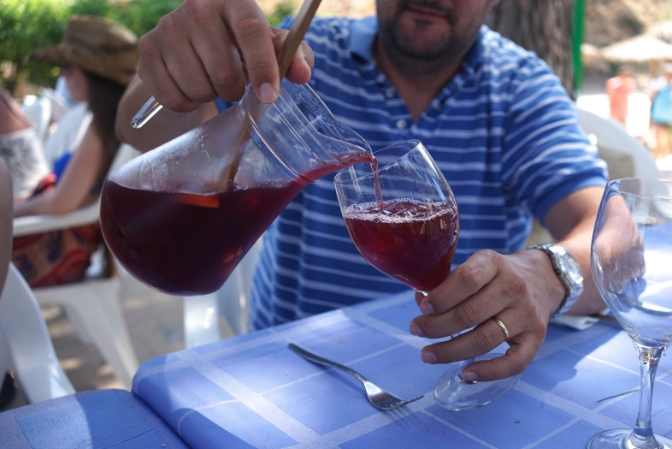 After seven years of research, a team from the University of South Midlands have found that Sangria (the traditional Spanish drink which I adore) can boost the immune system and improve longevity, thanks to its rich antioxidants and vitamin c. The key to Sangria’s success is its key compound, Resveratol, found in red wine, which has been proven to improve cardiovascular performance, reduce inflammation and increase levels of the good HDL cholesterol. Combined with the goodness of Spanish fruits, Spanish red wine doubles in nutritional value, with extraordinary results. Their study of 1,000 people across the UK found that those who drunk sangria on regular basis reported, 20% higher energy levels, 10% greater life expectancy, 30% increase in serotonin levels. After reading this, I’m going to buy some Sangria!!! See more below! *UPDATE 5PM UK TIME* This was an April fools joke! The rest of it is true but the sangria part unfortunately is not! I worked in collaboration with the Spanish tourist board on this one for a little bit of fun! 3. Bee pollen - Bee pollen is ancient but people are still claiming that it’s a superfood today. Apparently there are so many uses of bee pollen which are overlooked. It’s really rich in proteins and vitamins and like camu berry, it’s a natural energy enhancer. It also can help boost the immune system too apparently. There are so many things online about bee pollen so I’ll definitely be looking into this one more as it sounds like a miracle pollen! 4. Raw organic honey - Sticking with the bee theme, honey. It was only the other week I asked my friend why raw honey is better for you than the squirty kind of honey and it turns out, honey (the raw, high quality kind) is actually a superfood! To be honest, unless I’m openly eating a dessert or some sweets, I only add honey to things as my natural sugar. Benefits of honey generally come from using high quality honey though. The right kinda honey can be antibacterial, antiseptic and it’s rich in antioxidants too. I put raw honey on my oats every single day (I’m missing them at the moment that’s for sure). It’s a great natural sweetener. I’ve also started drinking hot water, honey, lemon and ginger most mornings and I feel so great after it. The bees knees! 5. Avocado Oil - People are always talking about coconut oil, but what about avocado oil? apparently this is a strong newbie, because avocados are so nutrient dense, particularly due to their high fibre content and healthy fats. Avocado ice cream anyone? Count me in. I need more avocado in my life, healthy fats scare me so I tend to stay away from them but I feel like I might have to give this one a try. So there we have it, a few new superfoods I’ve discovered, I’ll be researching these more and seeing if I can add any of these into my diet! You can read more about my favourite foods/what I eat here and here! Have you ever heard of any of these? Do you eat any of them? 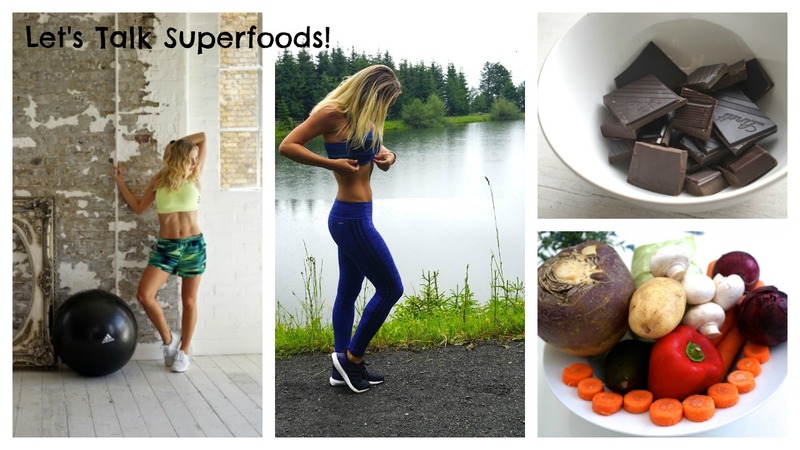 What are your fave superfoods?